What's the difference between 5 GHz Wi-Fi and 5G? Are 5G and 5 GHz Wi-Fi the same? No, but technically they do have a few things in common. For one, both terms revolve around wireless technologies. To be more specific, 5G is the newest cellular standard that mobile phones will begin using soon, and really just refers to an upgrade from the previous mobile network standard called 4G. 5 GHz refers to a portion of the radio spectrum that's used by Wi-Fi devices. Most people run across this term only when connecting to some Wi-Fi networks or when comparing 5 GHz Wi-Fi to 2.4 GHz Wi-Fi. 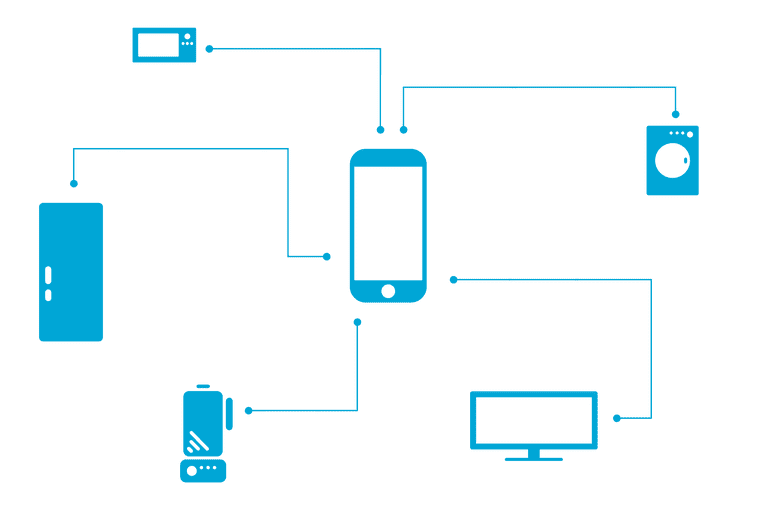 When mobile devices — like your smartphone or cellular-connected laptop or tablet — are not on Wi-Fi but are still connected to the internet, they’re able to do so through a mobile network operator’s (MNO’s) data service. 5G is the latest tech that aims to provide ultrafast connections for those devices. In terms of widespread use, 4G is still the fastest cellular technology in use today, but as soon as 5G takes off and 5G phones are released, 5G will offer many improvements over 4G, which will ultimately allow 5G to change a number of industries for the better. Verizon, AT&T, T-Mobile, and Sprint are a few examples of MNOs in the United States that are working on 5G networks. This newest cellular standard is currently in the process of reaching many other countries around the world, too. Devices connected to a Wi-Fi network can transmit data on two frequency bands, depending on the router: 5 GHz and 2.4 GHz. Much like mobile 5G networks that are faster than 4G because they operate on higher frequencies, 5 GHz Wi-Fi is often faster than 2.4 GHz for the same reason. 5 GHz also has the disadvantage (like 5G) of being unable to broadcast well through walls and having a shorter Wi-Fi range than the lower 2.4 GHz band. However, 5 GHz is only used within the context of Wi-Fi. That is, when you’re in a home or business where the wireless router or access point supports 5 GHz, devices can connect to the router in that frequency band instead of 2.4 GHz. 5 GHz is an option in routers to enable faster transfer speeds and to help reduce congestion and interference by allowing the network to run on more channels than what's supported with 2.4 GHz. Most modern routers are dual-band routers, meaning that they operate on both 2.4 GHz and 5 GHz frequency bands. What About ‘5G Wi-Fi Routers’? As of right now, if you see a Wi-Fi network with “5G” mentioned in its name, it’s referring to the frequency in gigahertz (5 GHz). The person who chose that Wi-Fi name most likely did so to differentiate it from the 2.4 GHz network that the dual-band router is also capable of broadcasting. A dual-band router might have both network types enabled so that older devices that only support 2.4 GHz can still connect to the network. At the same time, newer devices can use 5 GHz on the same router to take advantage of the newer technology. In the past, when cellular 5G was still years away, it wasn’t confusing to call a 5 GHz Wi-Fi router a “5G router” since it couldn’t possibly have been mistaken for a router that connected to the internet via a 5G mobile connection. Now, however, with cellular 5G routers right around the corner, you can see how this gets a little confusing. As 5G networks become more prevalent and potentially replace broadband at home, the routers used to put our devices online via cellular 5G will almost certainly be called 5G routers, which will mean that they connect your home network to the internet over a 5G mobile network. Within your network at home, your devices will still have the option to connect to the router on both 2.4 GHz and 5 GHz frequency bands. Which WiFi Band Is Faster, 2.4 GHz or 5 GHz? Fixed 5G vs Mobile 5G: Is One Better Than the Other?